Joe Alvarez is the co-owner and chief sales officer at National Office Systems, also known as NOS. It’s one of the nation’s largest providers of automated storage and retrieval systems, bio-metric asset protection and asset tracking and records management. 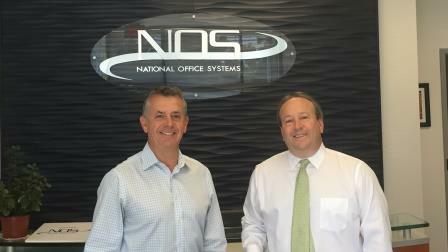 NOS is headquartered in the DC metro area. Joe and his partner acquired NOS in 1991 when it was a 5 person firm. Since 1991, Joe’s main focus has been to grow profitable revenues directly overseeing the sales and marketing team. Today NOS employs over 100 employees and has grown revenue on an average growth of 12% per year. Prior to joining NOS, Joe’s career was high related with sales and entrepreneurial endeavors in the document management industry. His first true sales position was selling copiers and facsimile machines to commercial businesses and local foreign entities such as embassies and the IMF to name a few. Fred Diamond: Joe, you were a professional soccer player at one time. How did you first get into sales as a career. Joe Alvarez: I’m a different story than your average guy doing this. I came from Mexico when I was 17 years old with a dream to play soccer and then going to college to Virginia to play soccer, and my whole goal was to be a professional soccer player, possibly be a coach somewhere. I went from that to sales and selling copiers so it tells you how life changes very quickly. Fred Diamond: I’d like to hear some of the stories about maybe how being a professional soccer player made you be successful in sales. One thing we’ve heard is when you play professional sports, the game is maybe one twentieth of it and you practice thousands of hours. One thing we’ve heard from some of our Sales Game Changers is that, is that you need to apply the practice to the selling profession, treat it like a professional. What are some of the things that you’ve carried over from being a professional soccer player? Joe Alvarez: That’s a great insight, Fred. One of the things that I talk to all my reps and I still follow this today is the fact that you’ve got to always work the basics, you can’t forget the basics no matter how good you are. Just like Michael Jordan would stay after practice to shoot free-throws, every sport and every professional endeavor requires you to be good at the basics and sales is no different. Fred Diamond: Very good. Tell us what you sell today and tell us what excites you about that. Joe Alvarez: Our company is a niche market company and we are focused on space saving in terms of floor space in an organization. Today, rents are very high so anyone looking to save space will look at, “How do I better organize my items so that I can save space?” We also do asset management, which means making sure that you know where every piece and asset of your firm is at any time. Fred Diamond: Very good. How did you first get into sales as a career? We talked in the intro about how you first started selling copiers and facsimile machines otherwise known as faxes, but tell us how you made this shift from being a professional soccer player getting into sales. I had graduated with an accounting degree in college and thought, “Well, I’ll go be an accountant.” I worked as an accountant for Chevy Chase Chevy Land in Bethesda, Maryland. I went from signing autographs and working out every day to sitting on a desk with a window that looked at a brick wall, a computer and a calculator next to me and doing deer exchanges. Needless to say, with no experience it’s very hard to get a sales job and back then you either sold encyclopedias door to door, or you sold copiers door to door so I chose the latter. The job was really 99% time making cold calls and knocking on doors and most of my co-workers would laugh at me because I would be out there making cold calls at 6 at night and they couldn’t believe that I would like that, and my perspective was, “You have no idea.Being out talking to people is the greatest thing in the world.” Needless to say, I did well in that job and that’s how I got into sales, Fred. Fred Diamond: Very good. What are some of the key lessons you learned from some of the first sales jobs? Joe Alvarez: It’s very evident that you’ve got to have thick skin because you get told “no” a lot and it never bothered me because I think one of the assets that I have is I don’t take it personal. When somebody says “no” I know it’s not about me, it’s about my product, my service or perhaps they’re having a bad day, but I never took it personal. One of the things that I learned from that was prospecting was a key to making things happen. You don’t have enough activity, you can’t sell. The other thing was, what can I do to be different? And that was a major thing, and I always felt that being the most professional person doing what I did would separate me from the rest. When I had an appointment I would personally send a thank you note, I would call and say, “Yes sir”, “No, ma’am”, I was just a different flavor to what they were used to and I think that that actually helped me then and I still practice that today. Fred Diamond: Very good. Joe, what are you truly an expert in? Tell us some more about your specific area of brilliance. Joe Alvarez: Our business is a business that actually learns what is it that you’re doing today and how can we make your business more profitable in the future. I’ll give you an example: most law firms today are going from ten thousand square feet to eight thousand square feet of real estate but they want to keep the same amount of people or more in the same space. They’re trying to save money and be more productive. One of the things they look at is, “OK, we can take partners and put them in an open space but what else can we do? We have all these file cabinets full of records, what can we do? So we assist with specialty storage systems for them, we help them with better asset management of those records and more importantly we help them image those records so reducing the footprint but allowing them to have access to that information at all times has become something that we become an expert on. We have different ways to do it than your average company so I think that we bring a different flavor to it, per se. Fred Diamond: Let’s talk about some of your sales career mentors. Mention a mentor for me and tell us how they impacted your career. Joe Alvarez: That’s an easy question for me to answer. My biggest mentor is my business partner today, his name is Dan Harbison. He is a little older than me but has got probably more energy than I have, even today. He was the vice president of the firm that I started selling copiers with and then he moved on to be president of a different firm and I worked for him there, and one day came to me and said, “Hey, do you want to go in business together?” So we decided to do that, but he still today is my biggest mentor. Fred Diamond: So what are some of the things that you’ve learned from him? Joe Alvarez: Positive attitude. No matter what the world throws at you, you got to have a side that looks at the bright side of things. No matter what it is, he finds a way to say, “Hey, it’s not so bad. We can do this, we can do that.” There’s a great life lesson to do that. Fred Diamond: Very good. How long have you guys been business partners for? Fred Diamond: 1991, good for you. Joe, the world has changed. Your customers have changed. The requirements for space has probably changed. What are two of the biggest challenges you’ve faced today as a sales leader? Technology really has changed the world, the workforce is changing, millennials is a huge challenge for folks my age because we’ve all been doing business a certain way for a long time and that’s really changing how we do business today, and how we take our company and grow it to that millennial customer and grow with millennial employees. It really changes how you do business. Fred Diamond: Have you managed millennials in your sales organization? Joe Alvarez: Yes, I have. Fred Diamond: So what are some of the observations that you’ve had that have been making it a challenge? Joe Alvarez: It’s easy for people to complain because they’re not like you, but I take that as a “That’s great, I’m going to learn from you. What do you do well that we can incorporate into our organization?” Our millennials actually love working at NOS because I am always learning. That’s one of the things that I’ve learned since I was a young kid, you can never be good enough, you always got to get better. Some of these young people, the way they work and the way they think and the way they look at problems is so innovative that the traditional way of looking and solving these issues is actually not good enough any longer. And you really need their expert opinion on it, because the people you’re selling to now, many of them are them, so you better start understanding them or you’re going to have a hard time. Fred Diamond: Take us back to the #1 specific sale success or win from your career that most proud of. Joe Alvarez, take us back to that moment. Joe Alvarez: I have a lot of wins, as many of the folks in my world. When you get to be our age that happens but there’s one that I consider one of the best wins for a lot of reasons. We met with the Prince Georgia’s County Police evidence apartment and this officer that was looking for a way to manage how the evidence was tracked between the crime scene to the core house, was having a hard time with the chain of custody issues. In working with him and the entire department we implemented a system that was RFID which is radio frequency ID tracking of the original evidence, so when an officer went to a crime scene and he picked up evidence, he would put it in a baggy with a specialty RFID tags and that evidence would be tracked from point 1 to point 2 to point 3 warehouse, attorney’s office, whatever. And the chain of custody was never broken and since we installed our systems in the Prince Georgia’s County Police Department, they have not had another picture on that wall, and that’s a really cool thing. Fred Diamond: That is a great story and we ask that question in all the Sales Game Changers podcast, and the best stories are the ones where it wasn’t just a big sale, we were trying for five years, the ones that are the best are when there’s a significant value impact to the customer. Fred Diamond: Literally! And you were able to put a process in the place to not just help the customer but help society. That’s good stuff. Joe Alvarez: It’s pretty cool. Fred Diamond: Before I ask you about your career in sales I need to ask you one or two questions about your sports career. A lot of guys who I’ve spoken to have had sports careers. You’re dealing at the highest level, you’re practicing, in order to be a professional athlete, you’re at the top of your game. How has that transition been for you working with people who may not be as committed to being world-class or exceptional? I’m just curious on your thoughts on that. Joe Alvarez: That is a great question, Fred. That was one of the hardest things for me when I became a manager, a sales manager. When I was a sales person and it was up to me to make it happen I could be the best because sales was what I wanted to do, but when you start managing people and your expectations are that you should work as hard as I do or wanted as much as I wanted, you start realizing that there is different people in the world and you need all of them. You need every different type of person. Otherwise, there would be all super type A people professional athletes that’d be the only good sales people, and that’s not the case. You just need to understand that people go about a different way and perhaps the way you look at it is not the evidence of, “Oh, did you work hard enough today? Did you make x amount of calls, did you do this?” Those are metrics, but there’s people that do it a different way and one of the maturing pieces for me was that I learned to accept other ways of other people doing it. I think it’s made me a better manager and a better mentor to my people by having that perspective, but yes, it was very hard at first. Fred Diamond: So you’ve been running this company since 1991, you must have employed if not hundreds at least dozens of sales professionals. Maybe hundreds, I don’t know, what’s something that you’ve seen in them that have been successful? Joe Alvarez: Let me clarify. When I was in the copier business I probably hired 300 people and fired 295 of them. We called it a crazy business but in our business I’ve been fortunate enough to have people that have been with me for 15 and 18 years at a time and we’re very lucky. I think we provide a great environment for them and that’s why they like that, but part of the situation was when we hire the people they were people that I knew, and I knew what to expect out of them. And when they came to work for us there was an expectation level and I learned from them, even today, that some of them are very different and as they mature they become different. You have different requirements of live, you become a mom, a dad, a granddad, you have different personal issues and you find different ways of doing the job but you got to be a manager and be understanding of their requirements. Fred Diamond: Joe Alvarez, was there ever a moment where you thought to yourself, “It’s just too hard, it’s not for me.”? Joe Alvarez: I’m probably the unusual guy to tell you that, did I ever question being in sales? Yes, I questioned being in sales when I was doing all those cold calls and thinking to myself, “Wow, I went to college to just knock on doors, I’m not so sure this was the right thing to do.” But do you ask me if it’s ever been too hard? No. I look at sales as building relationships and I’m providing you with a solution. If I don’t have something valuable to provide to you, I’m not going to waste your time or my time. My perspective is if I’m trying to sell you something, really I’m trying to help you and perhaps you don’t see that, but that’s OK. No, I never thought it was too hard for me. Fred Diamond: Joe, what’s the most important thing you want to get across to the sales professionals listening to the podcast to help them take their careers to the next level? Joe Alvarez: First and foremost, sales is a fabulous career. We get a bad rap from a lot of people that says you’re in sales but being in sales is one of the most rewarding careers you can have. One of the things that I would tell a young person – which I tell all my young people – is invest in yourself. Always try to get better. Buy books to help you be better, listen to podcasts, listen to tapes, go to classes, aside from everything you learn in school you always got to find a way to get better. Today you have LinkedIn, that was not available 15 years ago but if you’re not up to date in LinkedIn or technology like that, you’re cheating yourself out of a great opportunity. Second thing I’d tell them is don’t think anything personal. You need to understand that people are busy, people have personal lives, sometimes they’re going to say no to you and it’s got nothing to do with you. It’s got to do with other issues or perhaps they don’t need your product. Third, smart, hardworking pays off. Anybody tells you there’s an easy way to succeed I would tell you that they know something that the rest of the world doesn’t know or they’re lying to you. The reality is that hard work pays off. And the last piece that I always tell my guys is you got to have fun. You got to make it fun every day, every time. You can’t do this if you’re always stressed, you got to have fun. Fred Diamond: What are some of the specific things you do to sharpen your saw and stay fresh? Joe Alvarez: Just like I said to you, Fred, I’ll always be learning. 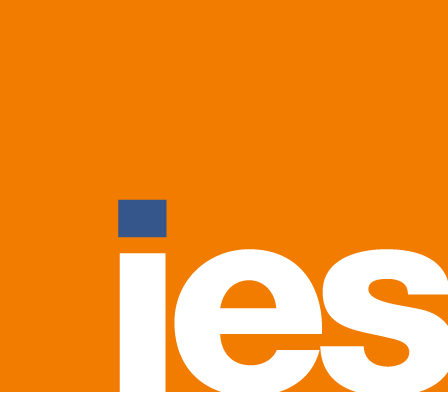 I’ve been in this game for a while and I would tell you that I listen to podcasts, I love going to the IES programs just to listen to different perspectives. Just to give you an example: I read books, I’m an avid reader of books, in fact my family makes fun of me that when we’re at the beach I’m always reading some kind of business book and they just can’t believe it. Frankly, I enjoy it. I enjoy it more than reading some other story because as far as I’m concerned, this is making me better. We laugh about that and we stay connected. You got to stay connected to the world. You need to understand what’s happening to the world, whether it’s the news, reading the business news, talking to other people, you need to understand what’s going on because some of those happenings in the world will come down to affect your specific work life. Fred Diamond: Very good. Joe, what’s a major initiative you’re working on today to ensure your continued success? Joe Alvarez: As I mentioned before, technology has changed in the world and one of the things that I’ve learned through my years of running a business is you can’t put all your eggs in one basket because things can change very quickly. One of the things that we do in NOS is we diversify the business. Diversification has been huge for us. Fred Diamond: Joe, sales is hard. People don’t return your calls or your emails. Why have you continued? You’ve given us a lot of insights here into your passion and I love the story that Joe talked about in the beginning of the podcast about how he helped the Prince Georgia’s County Police Department. Really make some major transformational changes to make us safer and to make their operations more successful. What is it about sales as a career that keeps you going? Joe Alvarez: As I mentioned before, I look at sales as relationship building. To me it’s a long term relationship. We’ve gotten away from transactional business and gone into long-term business relationships where if we do business today we’ll hope to be doing business with you 10 and 15 and 20 years from now and we’re going to change our firm to keep supporting your requirements as you grow and we grow. And that’s how I personally feel about this business. Fred Diamond: Give us one final thought to inspire the Sales Game Changers listening today. Joe Alvarez: This is the thought I give my employees and I give my kids, and I really believe in this: Life is short. Every day counts. Whatever you do, do it 100% and do it with passion, and at the end of the day use the mirror test. Look yourself in the mirror, you can’t lie to that guy on the other side, and say, “Did I give everything I could give today?” If the answer is yes, you had a pretty good day. If it isn’t, then you probably didn’t.